Marco Island is a picturesque beach community located on the Gulf of Mexico. Known for its miles of white sandy beaches and golf resorts, tourists flock to the island for rest and relaxation. Visitors seeking adventure enjoy waterskiing, boating, kayaking, and dolphin watching. Largely a retirement community, Marco Island has a population of 17,361 residents with a median age of 64.7 years. Median household income for the city is $73,559, with median property values at $492,000. Marco Island, Everglades City, and Naples make up the area known as Florida’s Paradise Coast. In 2017, over 1.8 million tourists visited the region. For an island community with only 12 miles of land, the large influx of visitors each year causes extreme traffic congestion. Tourists who are unfamiliar with the area cause hazardous driving conditions as they may be distracted as they be operating their navigation devices, looking at maps, or trying to find places of interest. They may run red lights, miss traffic signs, or switch lanes quickly, potentially causing an accident. 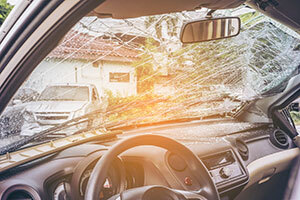 If you have been the victim of a car crash, contact the Marco Island motor vehicle accident attorneys at the Wolfson Law Firm. Our attorneys can advise you of your rights and compensation that you may be entitled to receive to pay for medical bills or car repairs. If you or someone that you love suffered injuries or a fatality as the result of an automobile accident and would like to speak to our Marco Island motor vehicle accident lawyers, contact the Wolfson Law Firm at 239-777-9954 for a free consultation. Why Contact a Marco Island Car Crash Lawyer? If you have been injured in a car accident and have questions about what compensation that you are entitled to, contact the Wolfson Law Firm at 239-777-9954 for a free consultation. Failure to yield – these often occur when motorists make left-hand turns across an intersection. Misjudging the speed of oncoming traffic, the motorist turns and may hit the car crossing the intersection. Distracted drivers – drivers who are not paying attention to the road may fail to stop at red lights or stop signs and hit the side of the car crossing the road. Weather – Heavy rains and low visibility can contribute to broadside accidents. Wet roads may cause cars to slide through stop signs or red lights, hitting the side of a car crossing in front of them. Road rage – Angry drivers may operate their cars in a reckless fashion. They may fail to stop or yield at road signs or lights, causing accidents. Since these accidents typically occur in intersections when cars are travelling at high speeds, the impact of a side hit can be devastating. Victims can experience serious, even fatal, injuries as only their car door protects them from a direct hit from an oncoming car. The Wolfson Law Firm proudly serves residents in Marco Island and the surrounding communities of Everglades City, Naples, Golden Gate, Immokalee, Pelican Bay, and Pine Ridge. If you or your loved one has been the victim of an automobile accident, contact the Marco Island motor vehicle accident lawyers at the Wolfson Law Firm at 239-777-9954 for help.